For IT News Week 2 Dec 2015, the most interesting news was the announcement of the first Android-powered smartphone by Blackberry. Music fans in Malaysia, wait no longer! MTV today announced the launch of its new mobile service, MTV Trax in Malaysia, which offers consumers a digital music experience curated by MTV, featuring 100 of the hottest music tracks refreshed on their smartphones daily. 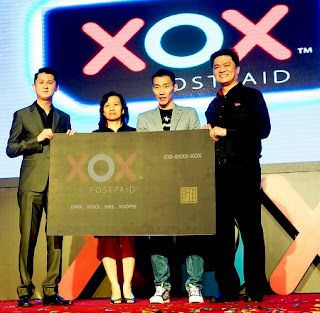 XOX Mobile Sdn Bhd, the mobile arm of XOX Group has launched what is believed to be among the first of its kind revenue-sharing postpaid plans in the nation, at a grand launch event, held here today. The pre-launch of the new plan resonated with consumers, attracting more than 15,000 subscribers since November 2015. Users who subscribed to XOX Mobile’s postpaid plans be it the Super 58, Ultra 108 or the Pro 158 are entitled to Activation Incentives, Trailing Incentives and Performance Profit Sharing that can reduce monthly bills, and may even allow some ‘power users’ to earn income. Activation Incentives will be given to participating subscribers according to their plans, upon their signing of any new subscriber ranging from RM150 for Pro 158 subscribers to RM50 for Super 58 subscribers. Trailing Incentives give participating subscribers a 6% return, while a maximum Performance Profit Sharing of 13% is available to participating subscribers who bring in more subscribers. Speakers at the recent “WhiteSpace Alliance Global Summit on Digital India” showcased the increasing role that TV Whitespace solutions will play in expanding access to broadband services throughout the country. The WhiteSpace Alliance (WSA) ® is a global industry organization enabling sharing of underutilized broadcast spectrum (“whitespace”) to deliver economical Internet access to underserved populations around the world. The Summit, held in New Delhi, featured presentations and panel discussions by solution vendors, service providers, researchers, global telecommunications regulators and Indian government officials addressing the topic “Accelerating the Promise of Pervasive Broadband Using Whitespaces”. The WhiteSpace Alliance is working closely with the Government of India in its “Digital India” initiative to make digital services available to all its citizens within the next five years. Sessions also documented impressive results from TV whitespace field deployments in India.India Institute of Technology (IIT) Bombay presented compelling distance, bandwidth and latency data from pilot implementations spanning several villages in the district of Palghar. Whitespace was used to provide backhaul communication to 10 Wi-Fi hotspots supporting multiple tablet users, kiosks and an automated teller machine. The field trials demonstrated bandwidth of 11Mbps over a non-line of sight distance of 7.2 kilometers with latency of 1 msec. IIT Bombay calculated that India currently has 100MHz of unused UHF broadcast spectrum which could be employed to provide whitespace broadband services. 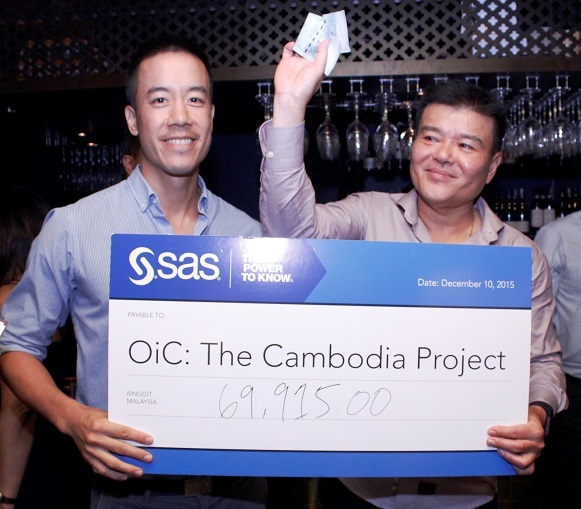 Business analytics leader, SAS Malaysia has raised RM73,215 during its year-end celebration, to help children with speech disabilities in Cambodia. The funds are donated to OiC: The Cambodia Project, an organization dedicated to help children in Cambodia with communication or swallowing disorders by providing them with speech therapy services. “Not many are aware that in Cambodia, more than 600,000 people have communication or swallowing disorders. Without the ability to speak, children with these disorders are not able to attend school or find a job when they grow up. We hope the funds raised will enable more children with this condition to get the help they need through speech therapy services provided by the OiC”, said Andrew Tan, Managing Director of SAS Malaysia. Acronis, the global leader in new generation data protection, today announced an update to Acronis True Image Cloud and Acronis True Image 2016, the fastest universal full image backup solutions for personal, family and home office use. The newest versions are updated based on customer feedback, which highlighted a huge demand for offloading data from a local machine, smart phone or tablet to the cloud due to space constraints, as well as user interface improvements, and family data protection features that make it easy to manage the backup and recovery of multiple PCs, Macs, smart phones and tablets. Full Image Backup – provides block-level copying of data that allows users to create an exact replica of computer hard disks. Users have a choice to back-up only specific folders or make a complete replica of a disk. Universal Restore – allows users to restore a full image backup to new PCs or Mac computers, including to dissimilar hardware, and migrate the complete operating system, applications and data over to the new disk or new computer. Rapid Upload – balances network resource consumption to ensure maximum utilization of available network bandwidth for fast backup upload of data, without disrupting the user’s current work and experience. 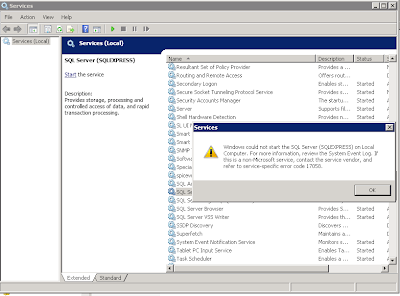 Try & Decide – provides a controlled, temporary environment to safely test new software, drivers, and system configurations with an ability to safely roll-back to a stable, previous system configuration in the event of technical and performance issues, or security threats like a virus or malware. Clone Disk – creates an exact replica of a disk drive, which is useful for a complete migration of data from one drive to another, and for making multiple disk drive replicas of the same content. Today’s vote can be seen as a key milestone as it marks the passing of an unprecedented set of data protection rules – the first of the digital age, replacing a Directive which is now 20 years old and was conceived when the internet was barely taking its first steps. It was arguably needed, as the old rules inevitably failed to capture the evolution in technology and users’ behaviour; and it makes significant efforts to strengthen the protection of end users, which have shown to pay increasing attention to privacy issues, and are more and more often worried about the personal data they share online. LinkedIn has today unveiled research into the most engaging marketers on the platform in Malaysia, and the list includes professionals from a range of industries from insurance agents to service providers. 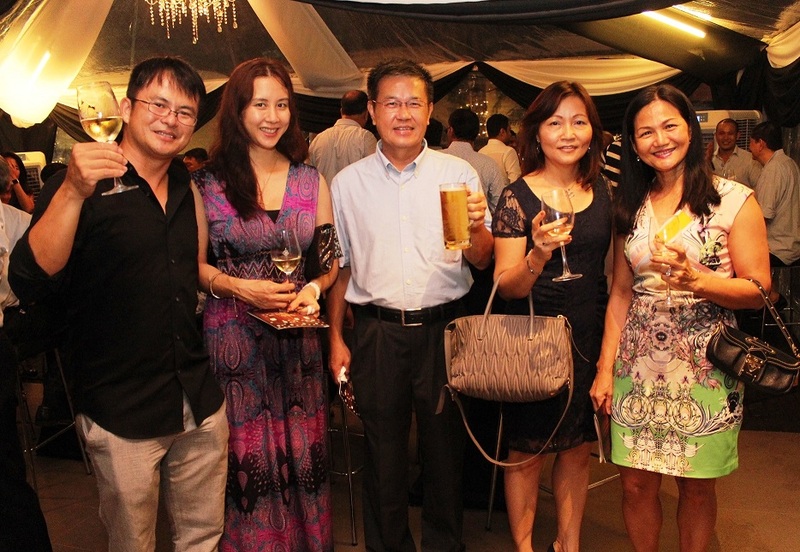 LinkedIn’s Most Engaged Marketers list for 2015 highlights that Malaysian marketers across industries are leveraging the online professional networking platform to their best advantage, not only for their personal brand, but also as advocates for their organisation. Malaysia maintained its prolific record by bagging three winners and five merit awards at this year’s Asia Pacific Information and Communications Technology Alliance (APICTA) Awards ceremony held in Sri Lanka. The winners were Chong Hwa Independent High School in the School Project category, BNetworks Sdn Bhd in the Communication category and Green Data Center LLP in the Sustainability and Environment Technology (SUST-17) category. 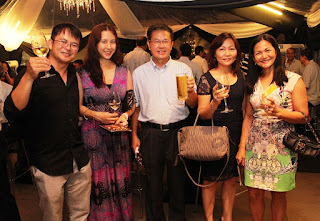 Aside from the winners, Malaysia also received five merit awards. The recipients were: Jayonik MSC Sdn Bhd (e-learning category), ManagePay Services Sdn Bhd (Financial Industry Application), Universiti Teknologi Malaysia (Research & Development), Multimedia University (Tertiary Student Project) and DF Automation & Robotics Sdn Bhd (Industry Application). Earlier today, Y.B Datuk Seri Dr. Mohammad Salleh Said Keruak, Minister of Communications & Multimedia inaugurated the opening ceremony of Huawei Customer Solution Innovation & Experience Center. The center is the embodiment of Huawei’s commitment and contribution to transforming Malaysia into a smart digital connected nation, and a regional ICT hub. In conjunction with the opening of CSIC, Huawei also launched the company’s Accelerating A Smart Digital Nation, Building A Better Connected World White Paper. The white paper explores the vision, strategies and transformation milestones towards Smart Digital Malaysia highlighting the roles of government and private sector in this initiative. Lazada’s Online Revolution campaign proved itself as Southeast Asia’s busiest online shopping event of the year with record performance from 10th to 12th of December, the final three days of the month-long sale. Traffic spiked to an all-time high of 36 million visits with hordes of consumers enjoying a smooth online experience on Lazada sites and apps. Volume of orders reached one million – a 300% jump over the same period last year – as the annual event continues to spur the online shopping frenzy. With approximately 1.7 million items ordered, the campaign chalked up US$40 million in Gross Merchandize Value (GMV) or overall sales in its three-day finale. Mobile reigned, accounting for 60% of the GMV as more customers across the region choose to thumb through endless deals from their mobile devices. iflix, Southeast Asia’s leading Internet TV service, offering subscribers unlimited access to tens of thousands of hours of entertainment for a low monthly price, today announced it has surpassed one million members within only six months of launch. This significant achievement follows on a succession of landmark milestones and collaborations, including the recent announcement of a groundbreaking partnership with Telekom Malaysia (TM), to offer all TM Unifi and Streamyx customers 12-month iflix subscriptions at no charge, sponsored by TM. The Company also recently launched its “Download & Watch Offline” feature, allowing members to download shows to their device for viewing even when they are offline. This year end holidays, Nickelodeon in Asia has hand-picked its popular apps released in 2015 which offer pre-schoolers and gamers of all ages the opportunity to connect with their favourite Nickelodeon characters such as SpongeBob SquarePants, the Teenage Mutant Ninja Turtles and Dora from Dora and Friends: Into the City! As part of Microsoft’s wider Skype-in-the-Classroom initiative, 19 students from SMK Kempas, Johor Bahru enjoyed an engaging global #Mystery Skype challenge with other schoolchildren in India (Redfields School) and Hungary (Balatonboglár Primary School) during Microsoft’s first ever two-day Skype-a-Thon event. The Skype-a-Thon, which was held, from December 3 through December 4, connected classrooms around the world and showcased how technology was used to enhance learning experiences. With one million virtual miles was set as a global target to connect as many educators and students throughout the world as possible, the event recorded 1.4 million miles in just one day, and a total of 3.04 million miles by the end of day two – 3 times of the original target set by the company! The event also saw Microsoft Malaysia’s Managing Director, K Raman, taking an active part by contributing ‘virtual miles’ through his engagement with students from Sekolah Menengah Pertama Islam Al-Azhar 1 Pusat, in Jakarta, Indonesia. Malaysia in total contributed a total of 8,700 virtual miles throughout the 48 hours.